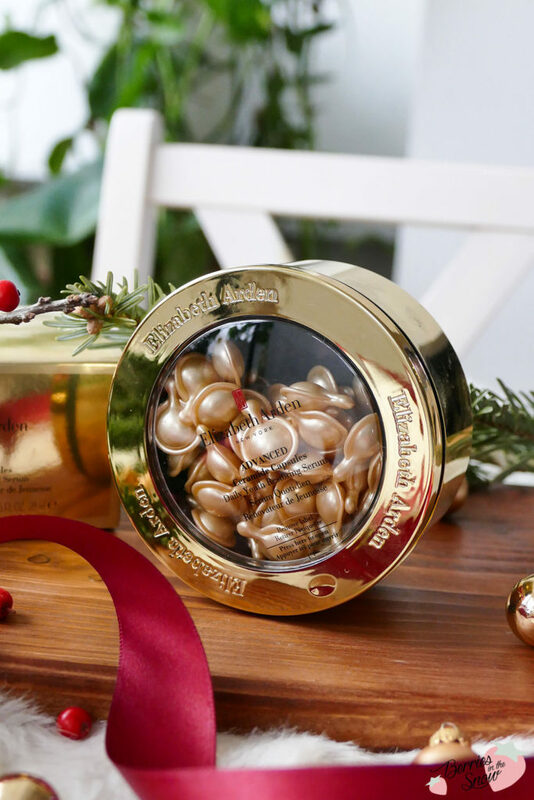 Elizabeth Arden Advanced Ceramide Capsules Daily Youth Restoring Serum are the renewed and even more potent version of the famous capsules from Elizabeth Arden. I’ve heard a great deal about the brand and the capsules before, but this was the first time for me to actually try this product. I love serums as you know and these tiny capsules make it even more appealing to use them every day! The product was offered to me for reviewing purpose by “brand you love”. “To be beautiful is the birthright of every women” is the saying and motto of Elizabeth Arden, who established the brand and beauty industry revolving around it a century ago. The products are well-established and many people love the brand for its scientific approach and quality. Moreover, the products have a time-less and elegant packaging design. 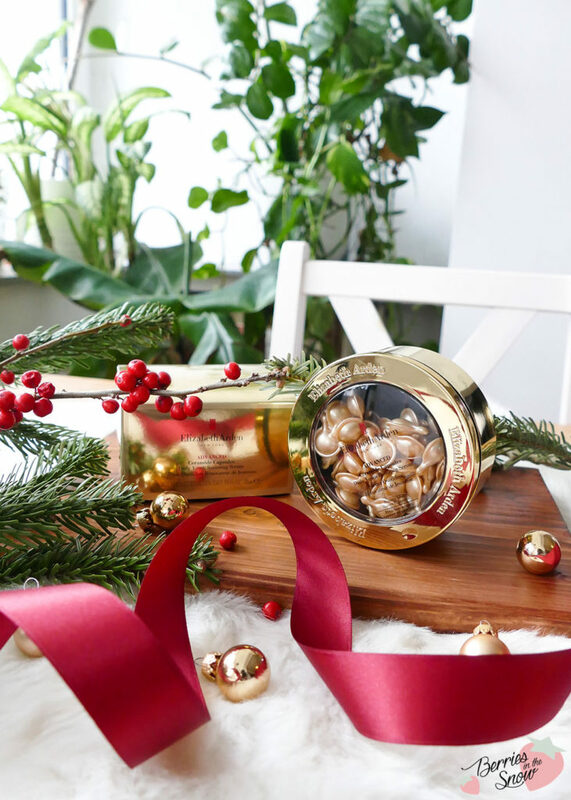 The Elizabeth Arden Advanced Ceramide Capsules Daily Youth Restoring Serum is a lightweight, silky-smooth serum targeting aging skin and helping to replenish the skin barrier using the key ingredient and name-giver ceramides. 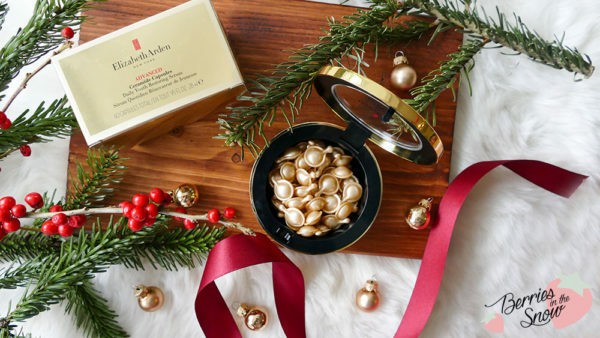 It comes packed in small, golden-colored, daily portioned capsules and looks super luxurious and elegant. Ceramides help to make aging skin look younger and more elastic. Ceramides are naturally occuring lipids that fortify the skin’s moisture barrier. 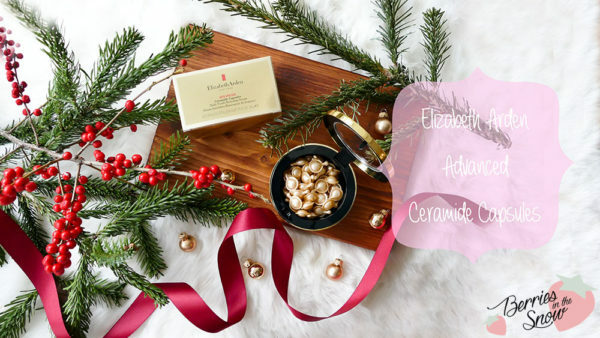 During aging the ceramide level in our skin decreases, which leads to wrinkles and loss of firmness, but applying ceramides topically can help to reduce the effect of the loss of the ceramides. 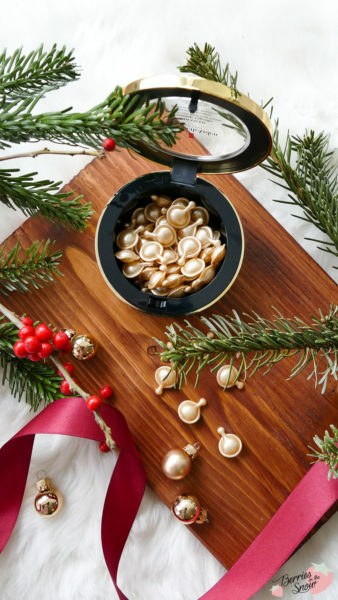 The Elizabeth Arden Advanced Ceramide Capsules Daily Youth Restoring Serum contains three different types of ceramides which help to condition the skin and make it appear and feel smoother again. As you can see, there are some ingredients to point out here. First of all the serum is dermatologically tested, free from preservatives, sulphates, and alcohol, and the capsules are made from bio-degradable material. Also, it contains other important anti-aging ingredients, like vitamin A and E, apart from the three types of ceramides. Moreover, ingredients like coconut oil and camellia japonica seed oil are great for providing hydration and moisture. Nevertheless, on the downside, the serum also contains silicon if you have a closer look at it (dimethicone). Silicons act as skin conditioner, and while they are able to make your skin feel silky smooth they also act as barrier and hinder ingredients to act in the deeper layers of the skin. So the effect you will achieve is only topically. And indeed, when I open up a capsule, containing more than enough serum to cover the face and decolleté, I feel the silky feeling at once, and it gives you that effect that is typical for silicon containing products, the skin appears instantly smooth and feels super silky soft. Unfortunately, the oils need a long time to absorb properly, too, since the silicon doesn’t really help them to be absorbed either. In order to open the capsules you need to twist tab around and squeeze the content of it onto your fingers. You have to be careful, because the serum is released instantly, and the first time I spilled almost everything on the floor. I really like the fact that it is portioned out,and that the capsules are biodegradable, but if you are in a hurry the capsules are not really the best thing to use. A pump or pipette would be better then. I was really happy to see Vitamin A and E on the ingredients list first, since this is a perfect combination of vitamins to battle your wrinkles. Unfortunately, I guess that the silicon will prevent these two top ingredients to sink into the deeper layers of the skin. Also, since it contains vitamin A I do not feel comfortable to use the capsules during the day, instead I prefer to use them as last step during the night (no use to add any creams on top). During the days, that I have used the capsules I noticed the instant smoothing effect from the silicon, but I didn’t see any effects it had on my wrinkles in general. All in all, I’m a bit dissapointed about these capsules! The ingredients are really high-end, apart from the silicon! And the silicon also hinders that the other great ingredients do their job properly and penetrate into the skin. 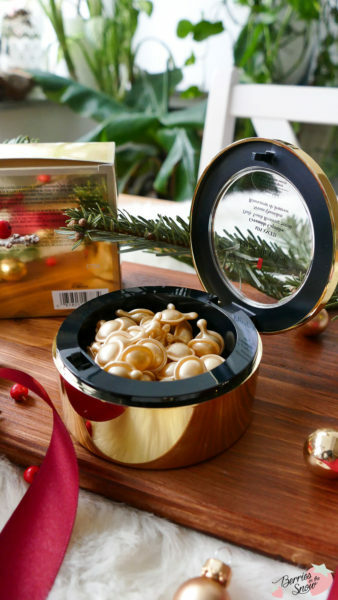 That’s really a bummer, after all the Elizabeth Arden Advanced Ceramide Capsules Daily Youth Restoring Serum is not cheap and has a good reputation. I would recommend these capsules at once if they removed the silicon in future, but as it is I can say that there are better and less expensive options to go for. The jar contains 60 capsules and retails for 78 US$ or 64.99 €. Fun fact: for me it’s a big challenge but also a win situation to read your page in English- because i am german and my English is not 100% perfect. But I like that! Aww looks high-end but I really dont like the capsule design. Love the review. The capsule design is awesome. Instagram name: miss_Amy_to_u76. I was really dissapointed about that part, too. Hopefully they will change the formulation some time again. I love the design but I guess I’m really dissapointed that it is not as great as I expected from a high-end brand. That’s so nice of you to say. I love writing reviews, but normal life really hinders me to write more than I would wish I could. Thanks for the comment! You’Re so right. I would have expected more from a luxury brand. Thank you very much for your comment. I don’t agree with you about the silicons, actually. They are occlusives, which supposed to help ingredients penetrate deeper into the skin. They are not a barrier between skin and “good” ingredients. It is not how it works. It is not how skincare works. I’m not an skincare expert, but from a life scientist point-of-view as far as I know silicons are water-resistent. They will prevent water to evaporate through it, which is good, because everything below this barrier will not evaporate as quickly. On the other hand, if you apply something on top of it, it will not be able to pass through this barrier. I don’t mind using silicons in my skincare, but as a last step in order to use it as an occlusive. If you use a silicon-y serum like this every cream you apply on top will only sit on that silicon barrier, and be of no proper use. Kind of true, but those are not really silicons you would expect. They are not creating a total barrier. It won’t be something that your top layers wouldn’t penetrate. On the other hand, yes, this is still kind of a very thin and uneven barrier, but it these particular capsules it is the point. It is there for a reason.